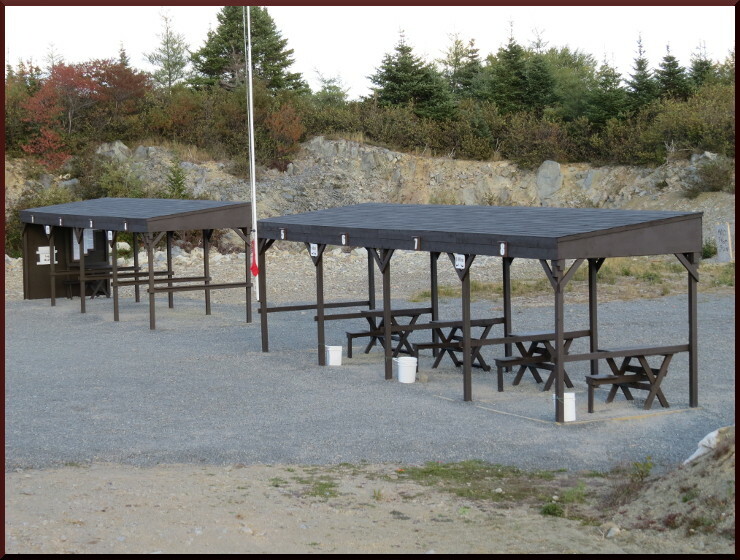 The Discovery Shooting Club has four ranges that can accommodate rifles, pistols and shotguns. Four lane 20 meter handgun range. Each position is sheltered and equipped a built in rest to lay equipment. Each lane has a target holder. One lane also has a sturdy shooting table for sighting in. Two lane 60 meter rifle range. Each position is sheltered and equipped with an attached shooting table for sighting in rifles. Each lane has a target holder. Two lane 100 meter rifle range. Each position is sheltered and equipped with an attached shooting table for sighting in rifles. Each lane has a target holder. Three position 45 meter WWI style trench/rifle range. The trench is lined with sandbags making an excellent firing postion along it length. Each lane has a target holder. For more information on Elliston's Great War Trench Click Here.